Need help planning last minute Summer vacations?! 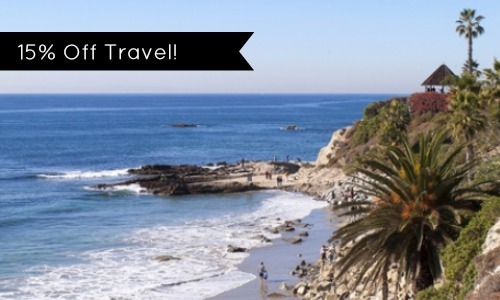 Take advantage of a new Groupon Coupon code giving 15% Off Travel Deal. Make sure to enter code top15 when you check out and enjoy the savings. Las Vegas at the Hard Rock Hotel & Casino for $36.55 for up to 7 days! Niagara Falls at a 4 Star Marriott Hotel for $106.25 a night. Go a little crazy and splurge at an All-Inclusive Cancun Resort with a private beach for $143.65 a night. This coupon code is good through Friday 5/16 at midnight pacific time.